City Branding: Which Factors Are The Most Crucial For Your City Brand? How to Promote a Diverse City or Region Without Diluting the Message? Which Are the Pros and Cons of Membership-Based Place Brand Organizations? 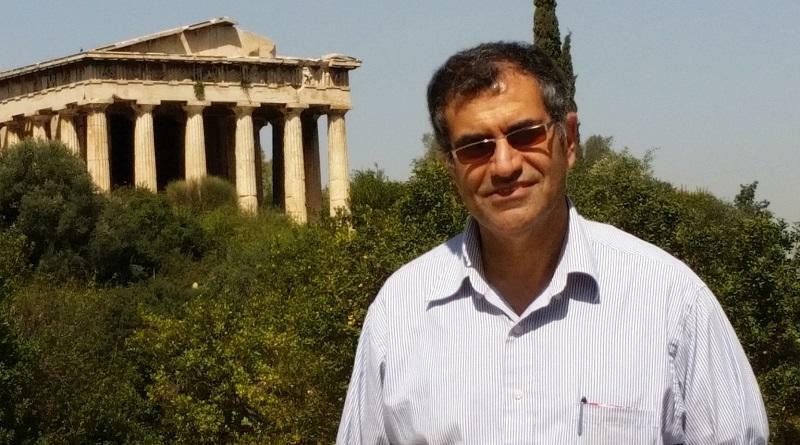 Eli Avraham, Professor of Communication at Haifa University in Israel, in this interview shares his findings of research on media representations of places. He illustrates how peripheral places tend to gain less favorable media coverage, and what it takes for place branding to be successful as a tool for cities, destinations and countries to overcome a negative image. How to measure effectiveness of place branding. Eli, do you remember what first attracted your interest in the image and branding of places? I grew up in a small town in periphery, and when you live in the periphery you think a lot about the image of the town because it is unfamiliar to the people who live in the center. This unfamiliarity creates many stereotypes and generalizations towards remote places. The need to deal with my town’s image all my life when interacting with people from more central places is what motivated me to do research on the periphery’s media image in the national media. In this research, I tried to understand why the national media covers the periphery in a negative way, using stereotypes and generalizations, and what effect this negative coverage has on the way that people who live in the center of the country feel about peripheral areas and the people who live there. At the completion of my research I understood from examples of how places around the world market themselves that places in the periphery could likewise improve their image using marketing and branding tools. I also learned that there are places around the world – like Glasgow, Liverpool and Manchester – that have managed to change their image over the years. In addition, I understood that places that suffer from negative images can’t use “regular” strategies to attract people, because there are so many stereotypes around them. To improve their image they need to find and use unique marketing initiatives and techniques. As a scholar with strong background in media, public relations and strategic communication, what role do you think media coverage plays with regard to our perceptions of places and their ability to create a favorable brand? The media has a very central role in the construction of place image. During my research I saw how images affect tourism, immigration, investment and the international standings of cities and countries. In the field of communion there is a great deal of research that has discovered many similar findings. One of central theories I used often was “the social constructions of reality” theory, which describes three kinds of reality: symbolic, objective, and subjective. The research in this field of place image showed that our subjective perception of reality regarding a place affects the symbolic reality that is presented in the media. In your view, what is place branding all about? And how do you distinguish between branding and marketing? As I see it, to brand a place is to find the uniqueness of the place for a specific target audience. At the core of the branding process marketers need to define the places’ central values that they want to promote by means of the activities, events and decisions made by the place managers. The difference between place branding and marketing is that branding is a much more holistic process that includes and involves many stakeholders. Which trends and challenges do you observe as a scholar with regard to place branding and marketing, for instance in Israel or the broader Middle East region? There are two issues here. On the theoretical/academic/research level, the theory is weak and researchers need to invest much more effort in strengthening the theory. In Israel, city branding began to be popular already in the 1990s, but the field is still not as professional as one would expect. Many mayors and marketers still believe that if they change their slogan and logo they have rebranded the city. They don’t understand that, in order to brand their city, they must change the reality in the city. They need to give the visitor an experience that is suitable for the selected branding, starting from the moment that the visitor arrives in the city. You presented a paper at the 2016 IPBA conference on “Branding and marketing strategies for combating stereotypes and negative perceptions towards countries”, which won the Best Paper Award at the conference. In a nutshell, which are your research findings? Can place branding/marketing alter perceptions, or does it take more than this? Nearly every country is associated with both positive and negative generalizations and stereotypes. Using the “[easyazon_link identifier=”0750684526″ locale=”US” tag=”tpbous-20″]multi-step model for altering place image[/easyazon_link],” which belongs to the image repair theory, the aim of this study was to examine the strategies that countries around the world have used to deal with negative stereotypes and perceptions. This examination made use of quantitative and qualitative content analysis of seventy ads produced in forty-seven countries, including print ads, TV commercials and YouTube videos. The analysis shows the use of three kinds of strategies by marketers to combat national stereotypes: source (personal testimony, blaming the media, etc. ), message (such as expanding a narrow image, use of celebrities) and audience (emphasis on similar values, for example). The findings can help us draw some interesting conclusions that raise some questions and concerns. First, it was interesting to discover that most of the countries that decided to deal with the challenge of changing stereotypes are democratic countries. At the same time, we saw that most of the countries wishing to tackle stereotypes were from Europe, Latin America and North America. These findings were very surprising, especially the fact that 23 out of 47 countries were in Europe. Countries of this continent enjoy positive images relative to other continents that truly need to change their images but who are far less active in the field. How to measure the success or effectiveness of place branding programs? I believe in the old methods of measuring changes in place branding, by which I mean measuring the changes in the place’s public image among the target audience, changes in tourism figures, investments and so on, as well as the changes in the place’s media image. Much of your work has been focused on media coverage of places, and its implications for their reputation and brand. Which are your key insights on this topic? What trends do you observe? Many factors affect image construction. For an image to improve, we need to take care of all the factors. Some of the responsibility for a place’s negative image lies with the activity of the city managers, but through an educational process, this can be changed. Before we start the process of changing the image of a place, we need to do research about what the place’s current image is among the target audience and the factors that explain the image. Kotler, P. Haider, D.H. & Rein, I. (1993). [easyazon_link identifier=”074323636X” locale=”US” tag=”tpbous-20″]Marketing Places[/easyazon_link], New York: Free Press. Morgan, N., Pritchard, A. & Pride, R. (2002). [easyazon_link identifier=”B001HN6K30″ locale=”US” tag=”tpbous-20″]Destination Branding: Creating the Unique Destination Proposition[/easyazon_link]. Woburn: Butterworth-Heinemann. Baker, B. (2007). [easyazon_link identifier=”0984957405″ locale=”US” tag=”tpbous-20″]Destination branding for small cities[/easyazon_link]. Portland, USA: Creative Leap Books. Learn more about the construction of place image and the role of the media in Professor Avraham’s book (together with Eran Ketter): [easyazon_link identifier=”0750684526″ locale=”US” tag=”tpbous-20″]Media Strategies for Places in Crisis: Improving the Image of Cities, Countries and Tourist Destinations[/easyazon_link]. You might also be interested in his latest book: [easyazon_link identifier=”B017KUOOP4″ locale=”US” tag=”tpbous-20″]Tourism Marketing for Developing Countries: Battling Stereotypes and crises in the Asia, Africa and the Middle East[/easyazon_link]. Enjoyed our interview with Eli Avraham on place image, Israel and media coverage of cities and countries? Share and spread the word! Want to stay up to date on latest place branding insights, strategies, stories and examples? Join our mailing list! Copyright © 2019 The Place Brand Observer. All rights reserved.